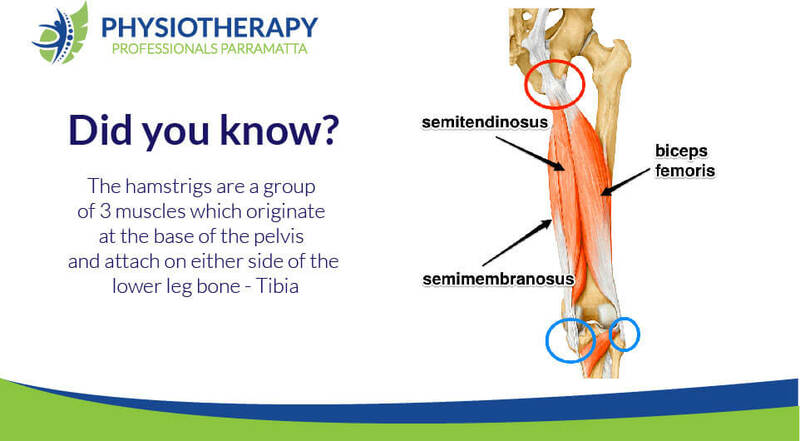 Did you know, the hamstring muscle group actually consists of three individual muscles? All three muscle bellies originate at the base of the pelvis and attach just under the knee joint. The Hamstrings consist of the Biceps Femoris, Semitendinosus and the Semimembranosus muscles. These muscles combined are primarily responsible for the flexion of the knee joint (bending of the knee). The muscle group can be over loaded and strained as they are large action muscles. If enough load or sudden change in force is applied, the muscle can be damaged or strained. Unfortunately, hamstring strains are both common and can be painful. They generally affects all types of athletes who engage in a lot of running.